DONG: THREE QUARTERS OF THE TICKETS 2015 GONE! The early days of spring seem to have sprung your festival season enthusiasm: Three quarters of the tickets for the 15th year Dong anniversary are sold! Get your share of the last quarter exclusively in our online shop, where we also have beer vouchers as well as ‘supporting heavy underground’ clothes for you. With the addition of 21 new acts for a grand total of 108 bands the line-up for Graspop Metal Meeting 2015 is now complete. The three winners of the Red Bull Bedroom Jam contest will be announced on 10 May at the end of finals day in concert hall Trix, Antwerp. These are the new and final additions for Friday, Saturday and Sunday: Tremonti, Ensiferum, Evergrey, Pop Evil, The Haunted, Chelsea Grin, Code Orange, Evil Invaders, Heidevolk, Upon a Burning Body, Battle Beast, The Dead Daisies and King Hiss. The headliners were announced earlier so here’s a reminder of some of the big guns for this year’s anniversary edition: Kiss, Marilyn Manson, Judas Priest, Slipknot, Scorpions, Faith No More, Motörhead, Korn, Within Temptation and many more. As usual Thursday night is all about some of the best bands the Belgian metal scene has to offer. Bliksem, Oceans of Sadness, Your Highness and Hell City will proudly fly the flag for Belgian metal on the Jupiler Stage. The Marquee is hosting a Monsters of Metal Tribute Party. DioLegacy, Art of Pantera, Up the Irons and Present Danger will pay tribute to some of the biggest bands on the planet. The perfect excuse to let your hair down, sing along and bang that head! If you want to be there on Thursday night please keep in mind only combi ticket holders have access to the campsite and the festival arena on Thursday 18 June. No separate day tickets are available for Thursday 18 June. Münster´s local heroes Neaera will be part of Vainstream 2013!!! 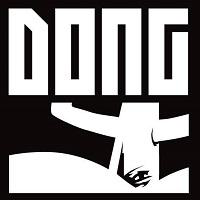 Also check out the historic DONG videos on their YOUTUBE CHANNEL! Check out the complete newsletter here!!! So check it out… some really nice bands will play there!! !